My son is getting married at the end of this month. Some of you are aware of the treasure box I’m making for this. The other part of their gift is these pens in order for guests to fill out cards with their best wishes (The Treasure). The box is to be opened on an anniversary in the future. Like most of my projects this one was not without issue. But always recoverable. The Brides Pen is white resin sanded to 600 and buffed on my 3 wheel buff with Tripoli, White Diamond and Blue Plastic compound. The groom’s pen was originally going to be a resin pen as well but then this happened. Not having a spare kit or spare tubes. I turned the resin off the brass for reuse. Then asked my son which blank he would prefer. 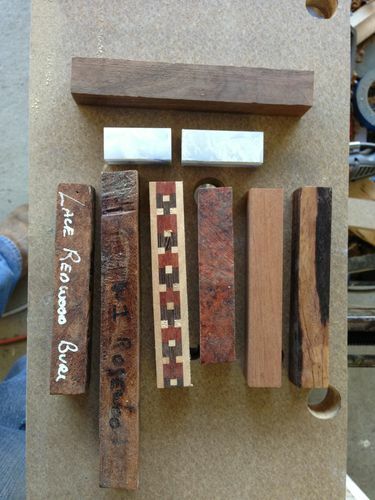 He chose the Cocobolo on the right. Unfortunately the lighter contrasting wood turned away. 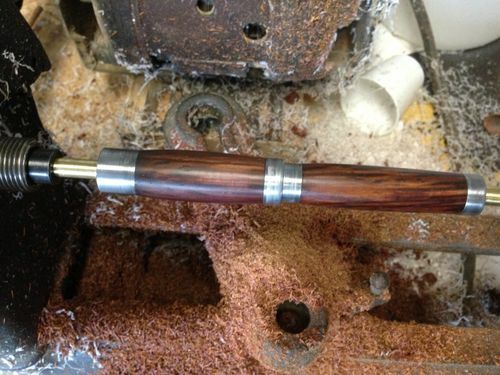 I knew from previous postings and postings on IAP that Cocobolo is notoriously difficult to finish with a CA finish. This pen will not be a daily user so I figured a shellac and wax finish would do the job. 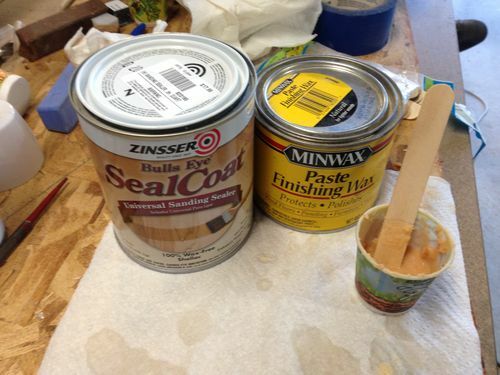 I mixed some shellac and finishing wax in a small cup to a consistency of thick mayonnaise. 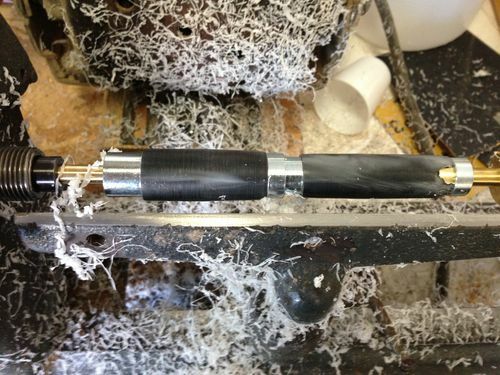 Then I applied the shellac and wax mixture as a friction polish. Then assembled the pen. Finished photos are above. I’m just learning to turn acrylics…don’t like it…prefer wood. I’m guessing you have sharper tools than me? 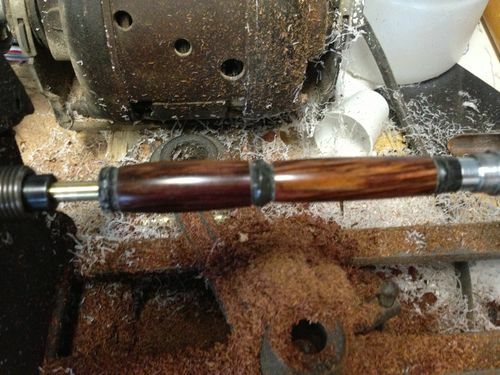 Love the finish on the cocobolo, gotta remember that mixture! Great fit and finish on both pens. I would consider the pens to be part of the treasure too!!! Gorgeous pens! Perfect pens for the big event. Great job! Very nicely done, the pens look great.